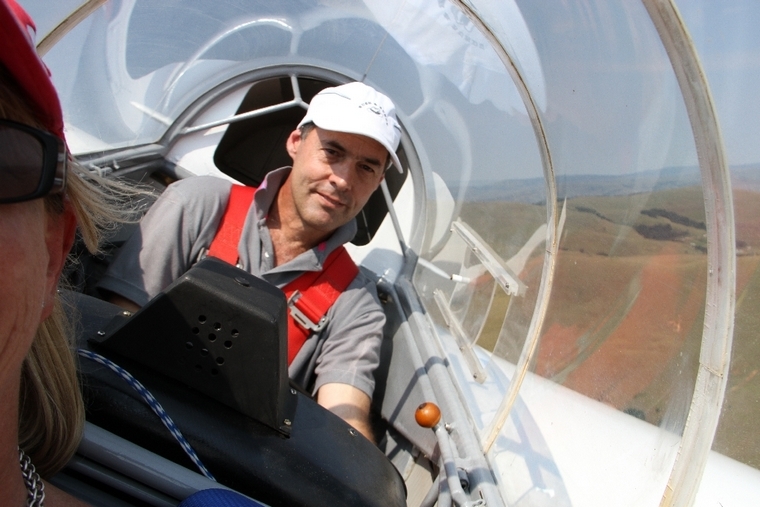 Howick flying club, predominately a gliding club is situated on the Mpopohomeni road R617 in the stunning Kwa-Zulu Natal Midlands, near the village of Howick with an active membership of about 30 members. I drove up to Howick with my aviator glider friend Guilliam Nel from Durban at 06h00 on a Sunday morning. The weather was perfect. On arrival we were greeted with a hot cup of coffee and a freshly baked muffin. The club owns three gliders comprising of a K-7 and two K-13's. I was invited to fly in one of the K-13's with pilot Dave Taylor painted in a beautiful pink design in memory of a former member of the club Carl Botha who had died of cancer a year ago. 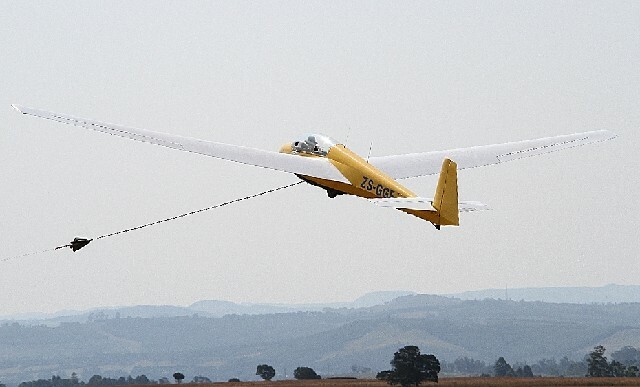 Gliders stay aloft by using the rising air currents, in the form of thermals and a variety of other meteorological phenomena which give rise to lifting air. After we were winched up and ready for lift-off Dave explained to me exactly what I could expect during our flight. With a sudden jolt we were winched up in a kite like fashion 300ft in about 20 seconds before releasing the cable and soaring on our thermal lift to 1000ft where Dave did a couple of aerobatic maneuvers comprising of a full loop and a chandelle. Our thermal lift was amazing and Dave told me that we would be able to stay in the air the whole afternoon if we wanted to. Our flight duration was about 30 minutes as Dave needed to get back on the ground to where a number of other hopefuls eagerly waited for their turn to experience powerless flight. What an uplifting experience it was for me and all thanks to the club and in particular Iain Rennie for the opportunity.